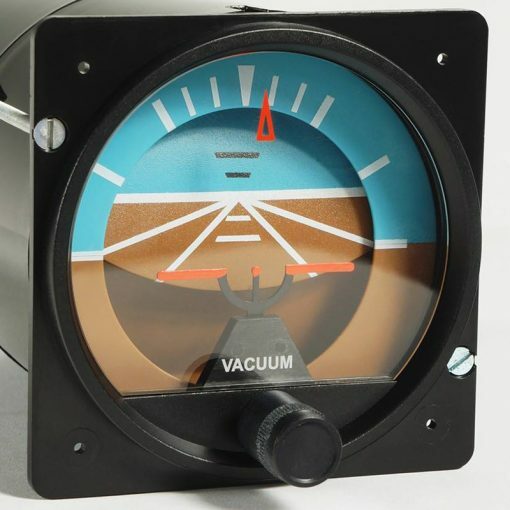 The USB Attitude Indicator is a very precise replica of an original artifical horizon and can be used in simulated cockpits for General Aviation, Airliners and Jet Fighters. The instrument has its own built-in microcontroller and can be connected directly to your PC via the included USB cable. No other hardware or electronics is needed to have this instrument function. This product has a switch on the back side, which enables you to mount 2 of the same devices in a flight deck setup, creating a multi-crew flight deck if desired. 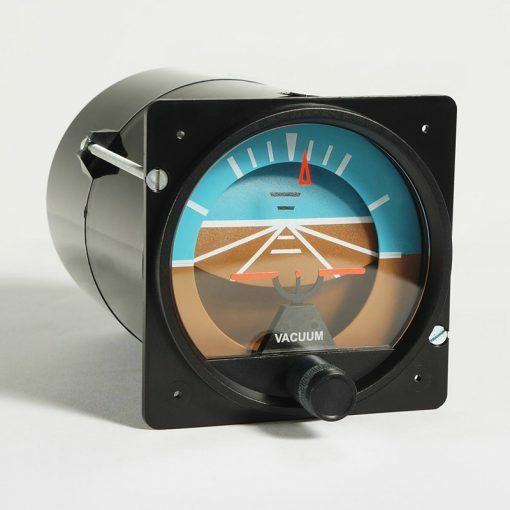 The Attitude Indicator comes with 2 servomotors who drive the scales which can both move up and down, and turn left or right. The first servomotor controls upward and downward motions. The second servomotor regulates the turning motion. The roll indication is maximum 95 degrees left and 95 degrees right. When during a roll the indicator reaches its maximum mechanical left position, during the completion of the roll it turns very quickly back to the maximum mechanical right position and continous to indicate properly again. Proper indication of the horizon is achieved through a dial which is located centrally underneath the Attitude Indicator and can be set turning the knob. It is equipped with lighting, regulated by the USB Light Controller (separately available). The light can also be set using software (included in the control software). The parts are made from high quality ABS and plastic injection molded for precise fit. The scale is high resolution print in colors. When you are a programmer and want to write interface software for the Attitude Indicator to connect the device to other flight simulator software than Microsoft Flight Simulator FS9 or FSx, we have an SDK document available in the support section describing exactly the interface for this instrument.